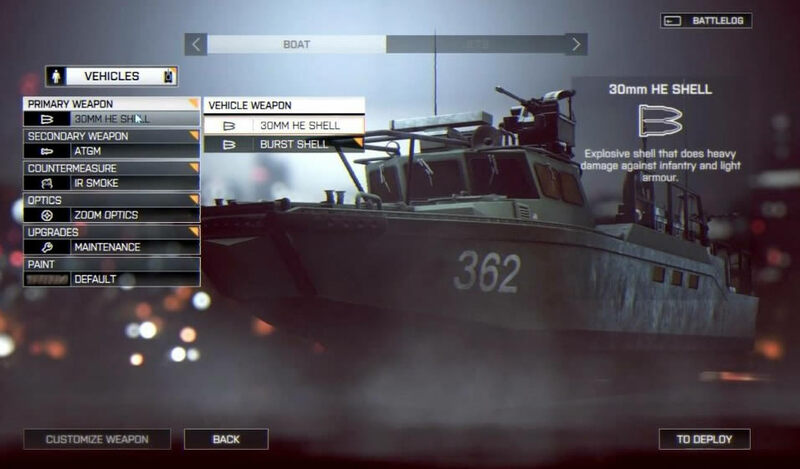 During E3, DICE revealed that Battlefield 4 will allow players to customize the loadouts for their vehicles. 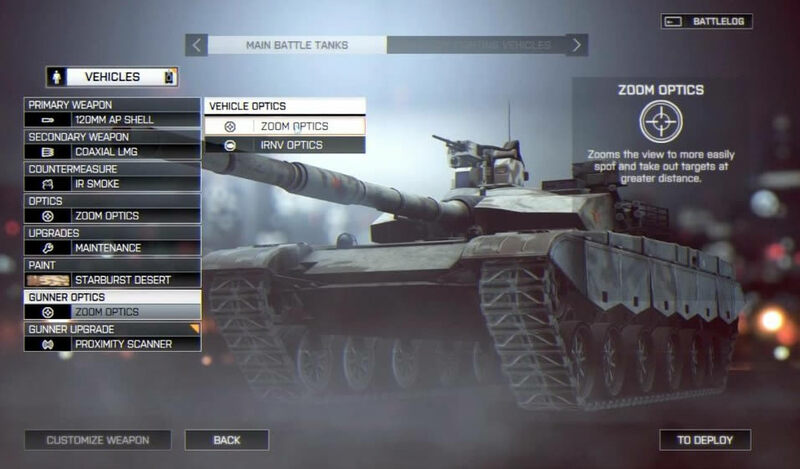 While the customization looks very similar to Battlefield 3 upon first glance, the development team has made some welcome changes. 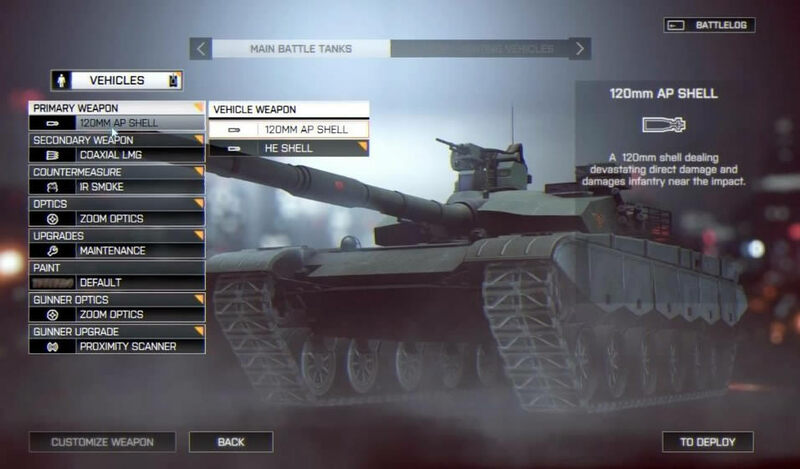 As with BF3, both gunners and pilots can select their own vehicle perks. It seems that the gunner perks are now more directly related to, well, gunning. A pilot won't be able to get stealth from their gunner, in other words. On the flip side, apparently gunners are the only ones who can unlock proximity radar. This should result in less redundancy, as gunners and pilots won't waste customization slots by both selecting the same things. 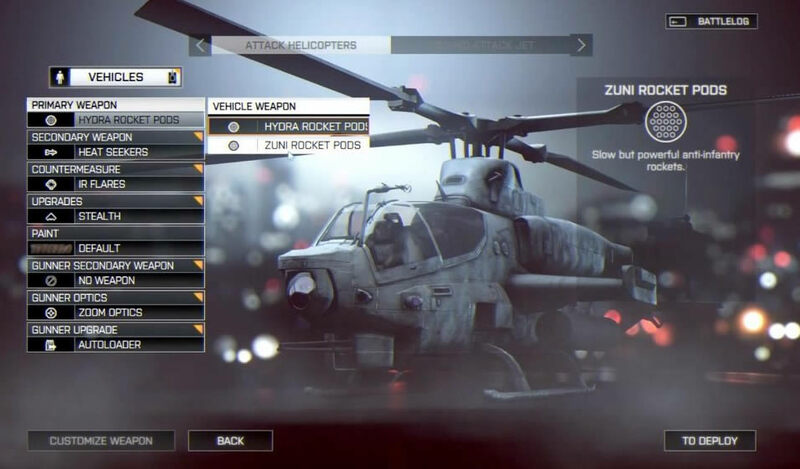 Many of the perks return from BF3 but there are a few new additions mixed in. For example, the AH-1Z Viper can use either Hydra missiles or Zuni rocket pods. The latter are slower and less versatile than the former, but they make up for it with their anti-infantry capabilities. Vehicles, like characters, can now be outfitted with custom camo that will be unlocked through gameplay. 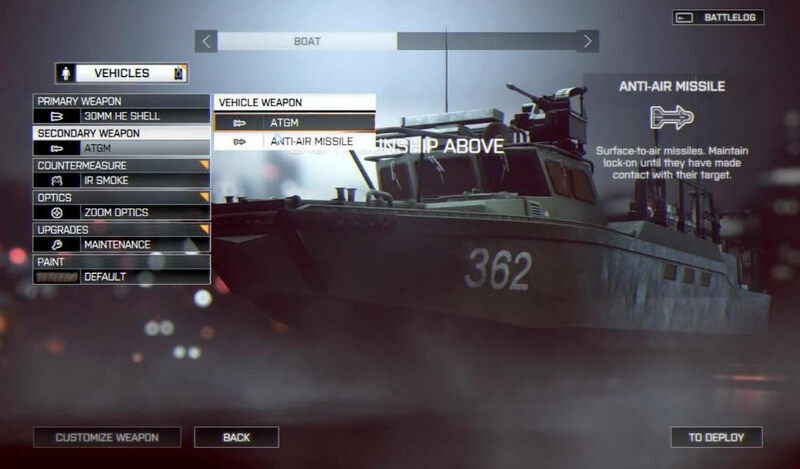 As the video from LevelCapGaming explains, boats were the redheaded step-children of BF3. They weren't powerful enough to fight land or air vehicles, so they were mostly relegated to transportation duty. You drove them onto the beach, hopped out and ran the hell away before an anti-tank missile blew them sky-high. No more in BF4, though. 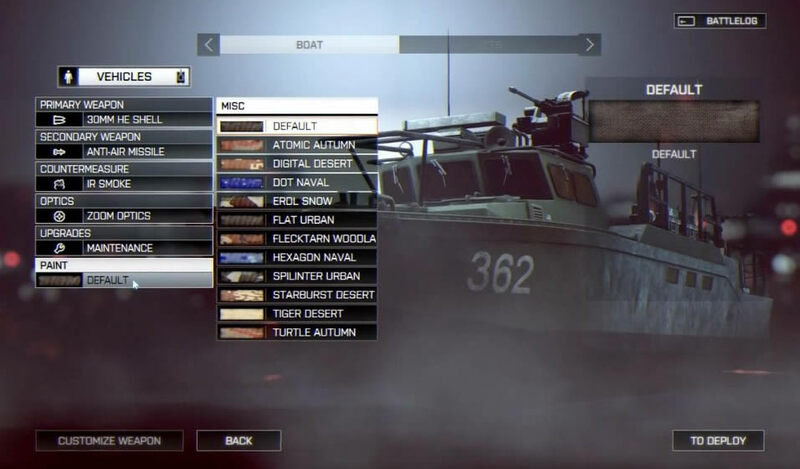 The customization options for the new patrol boat show that boats will be a big part of the battle in BF4. The patrol boat, in addition to being durable, packs a serious punch. The primary weapon is a 30mm cannon capable of firing anti-infantry/armor HE rounds, or anti-air burst shells. The other weapon slot, also controlled by the driver, is a missile launcher that can be loaded with user-guided ATGM's to take out ground targets, or surface-to-air missiles. When you see one of these boats, you're going to be filled with the sort of dread that you'd normally reserve for a tank. BF4 will arrive this fall on PC and consoles. An exclusive beta will be held for Battlefield 3 Premium members, gamers who pre-order the Digital Deluxe Edition of BF4, or the poor bastards who bought Medal of Honor: Warfighter.